Be a part of a national movement to make food a fundamental part of health and healing for patients, our communities and our planet. 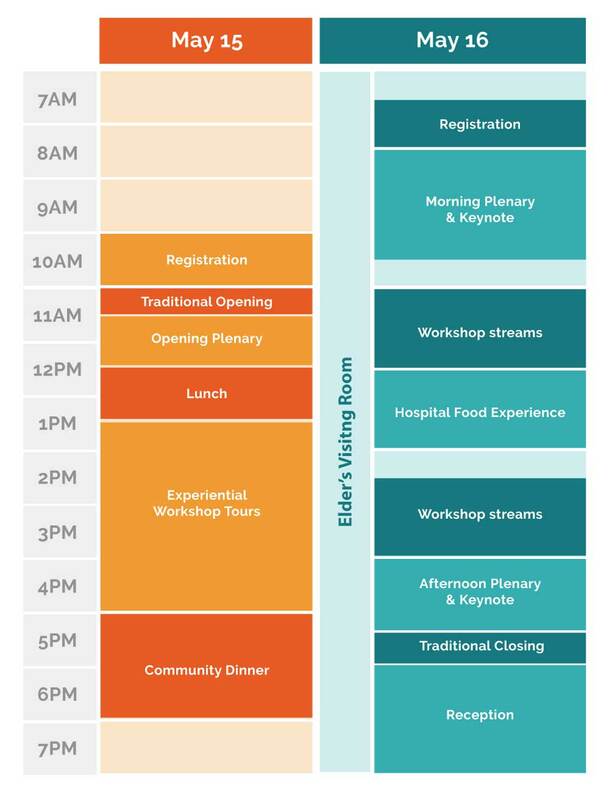 Situated in the beautiful Evergreen Brickworks in Toronto and surrounded by nature, the two-day symposium is an intimate meeting place for health care and food systems stakeholders to learn about how food in health care can enhance patient experience, organizational culture, and community wellbeing. Elders gathering and a focus on truth and reconciliation through food in health care. Senior health care leaders | Clinical staff, including physicians and nurses | Policy-leaders | Directors of support services | Dietitians | Food service managers | Procurement leaders | Supply-chain partners | Patient and family organizations | Students, researchers, and academics | All those interested in harnessing the opportunities of food in health care! We hope to see you at there! Register early to save 20-30%. *** Registration fees include admission to all conference sessions (May 15 and May 16), one continental breakfasts, two refreshment breaks, two luncheons and the Closing Reception. Bursaries are available by application for a limited number of community members, non-profits, and students. Bursaries are targeted to enable participation of people working in the food and/or health systems who face barriers in these systems. Click here to apply. If you are interested on sponsoring the Food for Health Symposium, please contact events@nourishhealthcare.ca for a sponsorship package. ARE YOU ATTENDING OR SPEAKING AT THE EVENT? HELP US SPREAD THE WORD BY INCLUDING OUR BANNER IN YOUR EMAIL SIGNATURE.